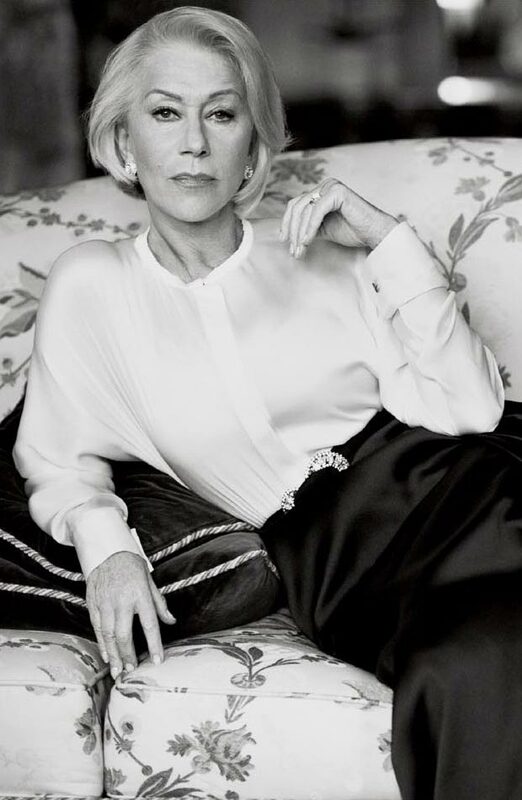 This one is for all of you out there who have seriously mixed feelings – to put it mildly – about Helen Mirren’s pink hairdo! 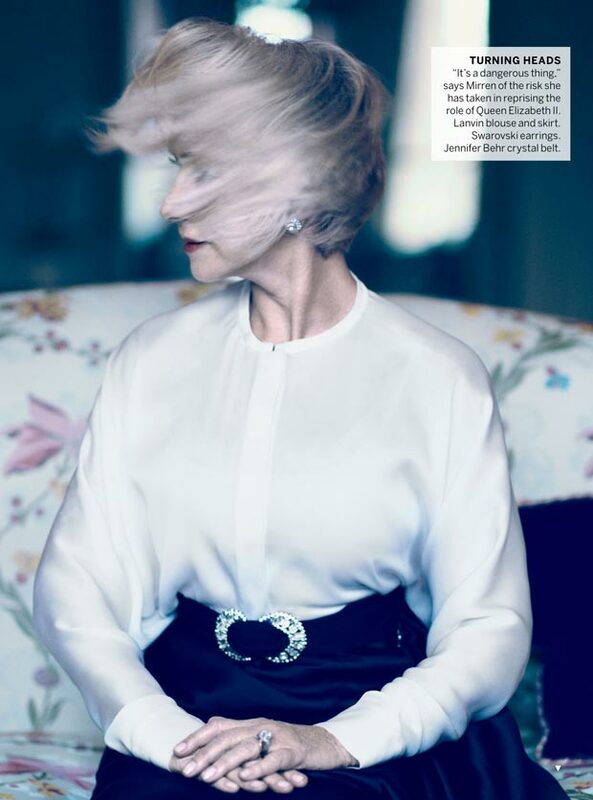 Yes, she might have risked her style ratings when she coifed her usually impeccable hair like that for the 2013 BAFTA ceremony, but her Vogue pictorial only hits the right fashion notes! 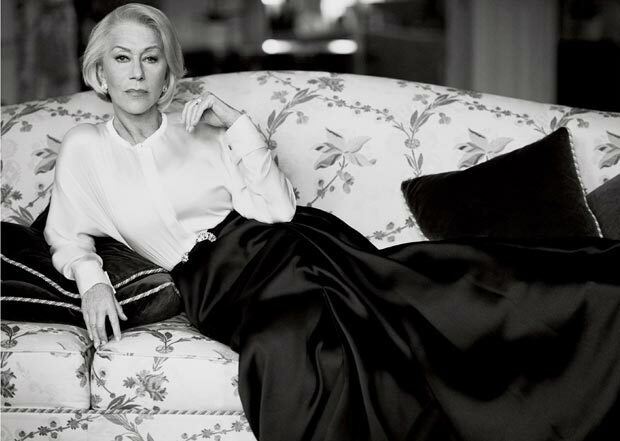 Photographed by Mikael Jansson and styled by Sara Moonves, Helen Mirren is very picture of elegance and distinction wearing makeup by Lucia Pica and hair by Luke Hersheson. All dolled up in Dior and ready to talk about taking acting risks but in the mean time posing with absolute poise and style assurance. 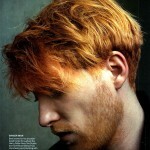 Who – upon seeing this pictorial by Mikael Jansson – who even remembers Helen now has pink hair? It just doesn’t fit anywhere in these royal portraits!